Chronic Obstructive Pulmonary Disease (COPD) is a chronic disease that gets worse over time, but can be preventable and is treatable. COPD damages the airways in your lungs and causes shortness of breath, which can impact you quality of living. Tests are often done on patients with minimal symptoms when the physician has a high index of suspicion that the patient may have a particular disease present. 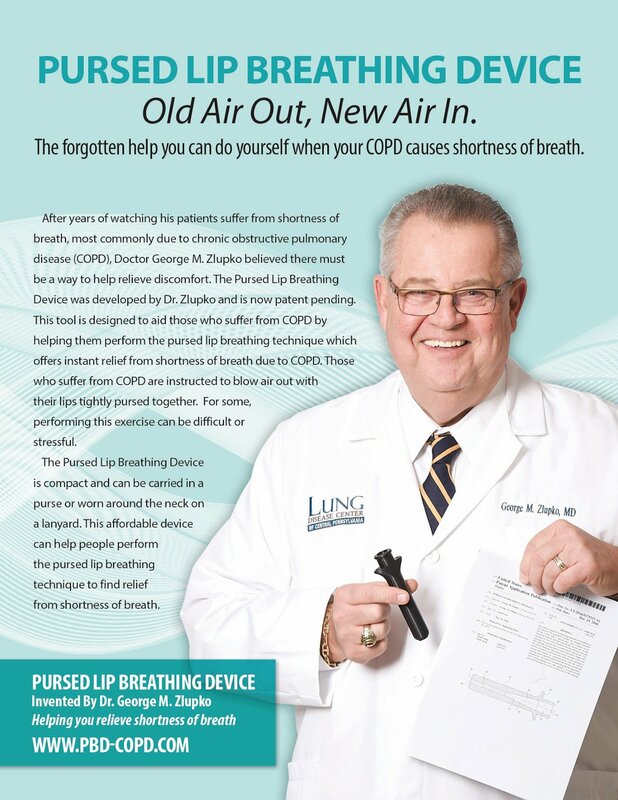 In patients with a smoking history and a complaint of shortness of breath, pulmonary function studies to see if they have COPD is a usual approach, especially in our office where most of the patients come because they are short of breath. Recently, the USPSTF, U.S. Preventive Services Task Force, has recommended that no screening studies for COPD be done on patients who do not have symptoms. This recommendation was based on studies that showed screening in asymptomatic patients did not improve mortality, morbidity or health-related quality of life. I have no basic disagreement with this recommendation. Most of the patients who come to our office are there because they are having symptoms. My concern is in primary care offices where patients may not relate all of their symptoms or feel that their shortness of breath is just due to age. Often patients with COPD have developed their symptoms over several years and have adapted to them and consider them normal. I even have patients tell me they expect to be short of breath because they smoke, not realizing that this is a symptom of a disease which should be diagnosed and treated. I am also concerned that based on this recommendation insurance companies will deny the need for testing in some patients, unless extraordinary documentation is present. Tell your physician if you have shortness of breath. Statistics can be boring, not only to collect, but to read about. However, keeping track of trends is important to know if we are making an impact with anything we are doing to improve the condition of the population. I am going to give you some facts below, and I apologize for the dry and sterile nature of the information, but I ask you to consider the overall importance this information represents. The death rate associated with COPD has declined by more than 20% in men over the last decade, but has remained relatively stable for women. The death rate declined 16% among women ages 65 to 84 but increased 24.4% in women ages 45-64. The situation in the African-American population seems to follow the same trend. Deaths related to COPD continued to rise in black women, but not in black men. During the period from 2000 to 2014 the death rates for black men declined 24.4% while the death rate for black women increased by 4.2%. About 15 million Americans have a diagnosis of COPD and many millions more have the disease and do not know it or have not been diagnosed. COPD is one of the most common comorbid conditions listed on hospital discharge summaries. It is also one of the most common causes of death or associated causes of death noted on death certificates. Declining COPD death rates in men is encouraging, but the death rate increases in women are worrisome. Flare ups of COPD are called exacerbations and we have discussed them before. I have often said that these attacks are the equivalent of heart attacks for patients with heart disease and if we called them “lung attacks” they might get the attention from patients, as well as physicians, that they deserve. The symptoms of a lung attack include increased cough with sputum production and often wheezing and more shortness of breath. Exacerbations serious enough to take someone to the hospital and be admitted confirm on the patient a long list of unpleasant statistics, including the fact that 50% of the patients will not be alive in 5 years. Added to the lung statistics associated with an exacerbation is new data on the risk of strokes in this population. Recent studies have shown that patients with COPD have a 20% higher risk of stroke over the normal population and that this risk is highest in the period following an acute exacerbation. In a study of over 13,000 individuals, patients with COPD had a 6.7 times greater risk of stroke during the seven weeks following a severe exacerbation. Smoking was the factor most associated with stroke and COPD. Patients with hypertension and COPD were at particular risk for cerebral hemorrhage (hemorrhagic stroke). The best way to prevent COPD is to stop smoking. Once the disease has been triggered it can be helped but not stopped. Once you have had a stroke any permanent neurologic injury cannot be returned. Heart disease and lung disease go together so often that the finding of one should prompt a search for the other. In patients with COPD the diagnosis of heart disease can be difficult because many of the symptoms (shortness of breath with activity, chest tightness, etc) occur with both diseases. What this means is that physicians need to have what is called a “high index of suspicion” that heart disease may be present in their COPD patients, and could be the cause of the patient’s symptoms, particularly if their symptoms are out of proportion to the degree of lung disease found. To put some numbers to the facts, 20% of COPD patients will have some type of cardiovascular disease diagnosed. When it comes to hospitalized patients, 55% of patients admitted with a COPD exacerbation are found to have some type of cardiovascular disease (but only if someone looks for it). 20% of COPD exacerbations are due to decompensated heart failure or irregular heart beatings. Patients admitted to the hospital for a COPD exacerbation are often found to have biochemical evidence of heart damage or strain associated with the event. The cause for these findings can be several fold. COPD patients often experience low oxygen levels during exacerbations and this can be detrimental to the heart in several ways. The heart has a high oxygen requirement to function properly and low oxygen levels increase pressure in the blood vessels of the lungs making the heart work harder to pump blood. As many of you know our group, the Altoona Lung Specialists, has been helping the local Veterans Administration Hospital with their pulmonary patients for many years. We run two clinics per week and the large majority of patients have COPD. Due to the recent military conflicts in the world we seen many younger patients diagnosed with PTSD (posttraumatic stress disorder). This problem places an additional burden on the patient and their families. The presence of OSA (obstructive sleep apnea) only adds to the symptoms associated with PTSD. Studies have shown a high incidence of sleep apnea in the PTSD population. Symptoms of excessive sleepiness during the day, along with increased fatigue, significantly impair the quality of life for PTSD patients whether they remain in the military or return to civilian life. Both PTSD and OSA are associated with poor sleep quality, fatigue, and a decreased sense of well-being. Unfortunately, compliance with the usual treatment of CPAP is poor and even when patients with PTSD and OSA use their CPAP it is difficult to tell which component of their condition is improving since the symptoms overlap. We have yet to develop the necessary diagnostic tools needed to determine how effective therapy is being for each condition when both exist. What is important is that researchers and the VA continue their efforts to assist our veterans with this problem. Simply thanking our military for their service is not enough. We need to remain devoted to improving their quality of life. I started doing fiberoptic bronchoscopies in the mid 1970’s. I was in training in Philadelphia and this was a brand new technique being used by pulmonary specialists. Looking in to the airways of a patient to help diagnose or treat a problem with this specialized technique was one of the reasons I went into the specialty of pulmonary medicine. Many of the observations we had with this instrument were new and never previously described. One of the observations I made early in my career could have put my name in the annals of medicine if I had only written about it. What I observed in some patients was a collapse of the central airways (trachea and main stem bronchi) when the patient would exhale or cough. Later the phenomenon was called hyper dynamic airways collapse and is now referred to as expiratory central airways collapse (ECAC). ECAC is seen in patients with COPD and is more severe when the COPD is more severe. It is also more common in patients that are overweight and who have more cough and symptoms of chronic airway irritation (chronic bronchitis). The diagnosis of ECAC in the past was made by observation during fiberoptic bronchoscopy. Now it is said that inspiratory and expiratory CT scans of the chest can be used, but I think that direct observation is still the best technique. ECAC may explain the shortness of breath some patients with COPD have that is out of proportion to their breathing tests. Pulmonary rehabilitation is one of the key elements of treatment in COPD that often gets lost in the dust. Patients with severe COPD have significant limitations that frequently keep them from getting help from this valuable technique. We know that COPD is not just a disease of the lungs, but is a systemic disease which often involves the muscles of the body. Because patients with COPD are short of breath on exertion and many times have difficulty getting out of the house to attend rehabilitation sessions three times a week, and because insurance companies often will not pay for therapy for extended periods of time, other ways to maintain muscle strength have been explored. Methods that can be effective in maintaining muscle strength, but could be administered by the patient at home, would certainly be helpful. Recently, a study looked at a technique called neuromuscular electrical stimulation (NMES). This technique uses a battery powered device that is attached to the large muscles in the legs (quadriceps) and stimulates the contraction of theses muscles, much as would occur with exercise. This technique has been effectively used in critically ill patients and it does not require any effort on the part of the patient. Moreover, NMES has been shown to create systemic improvement as well. The effect of the treatment wore off quickly after stopping, suggesting that this therapy may need to be one used chronically in patients with moderate to severe COPD or perhaps earlier in the disease to prevent loss of muscle function. I have often pointed out the association between certain types of lung disease and other disease. COPD and coronary artery disease is a good example of one disease being highly associated with another. I was somewhat taken aback by a recent report linking asthma with the rupture of abdominal aortic aneurysms (AAA). An aneurysm is an enlargement causing weakening of the wall of a major blood vessel, in this case the aorta, which is the main artery coming from the heart and supplying all the blood to the body. Weakening of the wall of this blood vessel results in enlargement and in some cases rupture. In the recent research on this topic it is suggested that an inflammatory pathway, common to both asthma and the development of abdominal aortic aneurysms, is to blame. In a study of nearly 16.000 patients (81% male) diagnosed with AAA, studied over a 16 year period, 4.500 had a ruptured AAA. This is a serious medical and surgical event with high mortality. 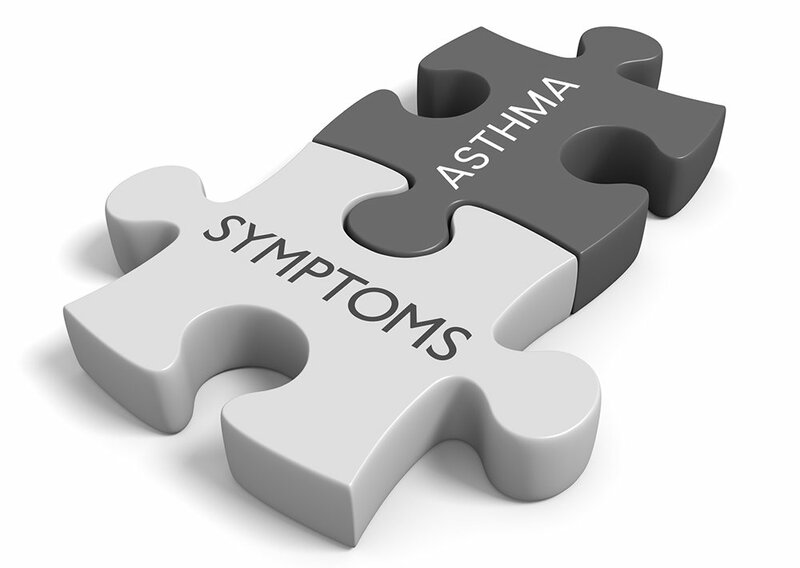 These findings have clear implications for older patients, especially men, with asthma. These patients should be checked to see if they have signs associated with an abdominal aortic aneurysm. Surgery, often on an emergency basis, was the usual treatment in the past. If an AAA is discovered early, the correction and treatment can often be done with a minimally invasive technique where a large stent-like device is inserted through an artery in the leg and placed in the aneurysm.